All funds generated will go towards the improvement of Limerick environment. Entrance is Free and Donations Welcome. Light Refreshments Provided. A Fundraiser was on in Dolans Warehouse last night for Sean McGowan who is rowing the Atlantic for his charity - Soweto connection and also to raise funds for Concern's work in Haiti. You can track Sean's progress [ Here ] and be sure to visit his website and make a donation to this very worthy cause. The gig was introduced by Karl Spain and featured The Brad Pitt Light Orchestra and Sarah Dolan and her band. Limerick Civic Trust are hosting a Coffee Morning on Friday 29th of January to raise funds to help the victims of the earthquake in Haiti. All are welcome and it is on at The Georgian house & Garden at No2 Perry Square. All donations go directly to the Haiti relief Fund. Mad Clown Designs Inc is the brainchild of Filip Servit and is located in Dromkeen in Co. Limerick. From his workshops Filip offers a wide range of custom spray painting services specializing in motorbikes and car paint jobs. There are lots of examples on his site of the excellent Bike paint jobs and I particularity liked the Custom Bike Helmets that he does. 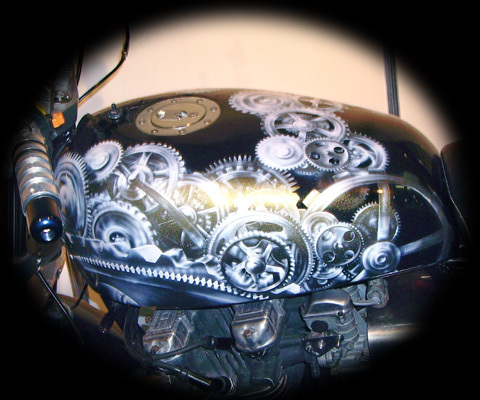 Filip can apply his custom designs to a wide variety or surfaces from Bikes and Cars to Helmets and Leather Jackets and Signs. His work has featured on RTE and he is a regular attendee at the Custom Bike and Car Shows all around Ireland. So if you are looking to have a custom paint job applies to your Bike or need your Car " Pimped" with a paint job of your own design then look no further than Mad Clown Designs Inc.
Kelly Travel, Located in Pallasgreen have been providing transport services to Concerts and events for over 20 years. They run a Licensed concert service offering a direct service to the venue. Always one to innovate, they have added a monthly service to Ikea Dublin allowing shoppers to avoid the hassle of traffic and Parking. Limited to 20 people to allow more space for purchases! Kelly travel offer transport services for Weddings, Stag or Hen weekends, Airport Transfers, School Transport and Corporate or Private transport services. For more details on the services they offer visit their website or Follow them on Twitter or Visit their Facebook Page or even drop by their Bebo page. This is a re post from the SongWriters Limerick Blog - [ Click here to visit the Blog ] I might pop along with my trusty Pentax and take a few snaps on the night and post them up. Its a great Idea and I hope it goes well for them as there is an amazing amount of musical talent in this City! And fair play to the Locke Bar for their support! The first SongWriter Sessions@The Locke Bar, will take place upstairs at The Locke Bar, George's Quay, Limerick 9.00pm January 21st. All aspiring songwriters are invited to attend and play there songs in front of a live audience. All types of music and singers are welcome, a limited amount of instruments will be available for use on the night. The evening will features songwriters doing short sets of two or three songs. Also planned for future sessions are "Friends" nights where one writer invites friends to fill the night and "Special Guest" slots where an established songwriters will perform a set. There will also be an opportunity for getting a YouTube video of your performance made free of charge and uploaded to our site. Performances will also be recorded and broadcast as a Podcast at a later date. Host for the sessions are songwriters Brian Connolly, Chris Wood and Sean MacCleod and they hope to develop the venue as a hot spot for new talent in Limerick, plans are a foot to invite recording artists, producers, managers and publishers, anyone who may be looking for fresh new songs. SongWriter Sessions@The Locke Bar is to become a regular feature of the live music scene in Limerick and will take place every 2nd, 3rd and 4th Thursday of the month. All are welcome those who wish to perform or just listen. Free admission and free finger food. Some studies indicate that 20% of children have some form of psychological problem (Venables (1983);Rutter, Cox et al (1975); Jeffers & Fitzgerald (1991); Porteous (1991) etc) and that 70% of these are helped through the use of psychological based therapies such as play and creative arts. The 1999 British government survey estimated that 10% of children have a mental health problem. It is likely that similar statistics apply to Ireland. Childreach are an Irish company providing resources for play therapy, supplies for creative arts therapy, Educational toys and puppets and also special needs and ABA tools. They have an extensive range or items available including complete play therapy kits with everything needed to provide play therapy services. Now Based in Co. Meath Childreach will shortly be opening their Irish website childreach.ie but currently cover all of Ireland and the UK through childreach.co.uk. There are a number of play therapy and ABA therapy tools currently in the sale on the site and the product range is constantly being expanded. The site also contains en extensive range of arts and crafts items ranging from white masks for painting to sand trays and wall charts and children’s costumes. Although this is a particularly bad spell it does make for some great photos with Birds (the feathered kind that is) willing to pose for photo as long as they are being fed! I have put up a gallery of photos of Winter scenes in Limerick City and County and will add to it on my travels over the next couple of days. Steve Hanks and they certainly provided a great opening act, playing all sorts of eclectic abstract Jazz grooves. The band were followed by DJ Peter Curtin(Cheebah, Spin FM) and the night set the tone of things to come for SpeakeasyJazz. finest DJs such as Brigadier JC, Vic John Junior, DJ Leon and Ms Skull. 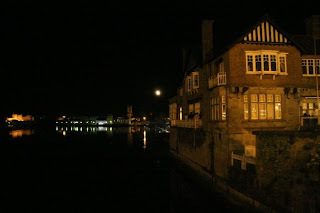 The chosen venue for SpeakeasyJazz is the perfectly apt Shannon Rowing Club. The building sits proudly over the beautiful River Shannon, lends it's warm atmosphere to the event and provides the perfect surroundings to enjoy the music. 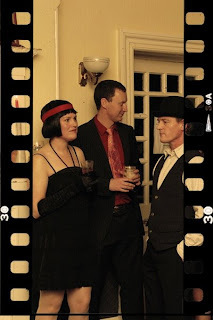 For their Christmas gig, SpeakeasyJazz invited The Boudoir Sessions to hold a Vintage, Retro fancy dress Jazz party. The venue couldn't have been more perfect, it was like taking a step back in time with everybody putting in so much effort to make the night a success. 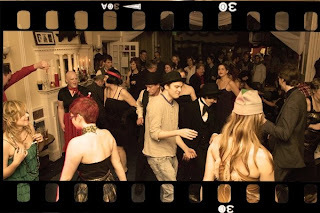 The organisers of SpeakeasyJazz are showing no signs of slowing down and are all set to kick start the New Year in style, and have invited 'Jazzypsy' to the floor to woo you with their eclectic mix of Latin and Swing, Blues and Jazz! charming songstress who regularly sings with the folks down at the Limerick Jazz Workshops. With Louise on the night will be: Bandi and Andreas Varady (~Bass and Guitar), a father-son duo who you may have seen wowing the crowds in the marketplace with their beautiful, graceful and very groovy Jazz guitar riffs...Dermot and Mike Hinchy (~Drums and Sax) these versatile and very talented brothers are mainstays on the Limerick music circuit. You may hear touches of Bossa Nova, Be Bop, plenty of Swing and certainly lots of lovely oldies sung sweetly by the lovely Louise. Check out Andreas taking part in RTE's :The Guitar competition. To round up the night, DJ Leon will take over and keep the dancefloor hopping to all kinds of radical Swing and Jazz tunes! Followed by DJ Leon 'Til late!